Synonyms: Crataegus apiifolia, C. curvisepala, C. dissecta, C. oxyancanthana, C. oxyacantha var. monogyna, C. oxyacantha v. paulii, Mespilus monogyna, Oxyacantha apiifolia, others. 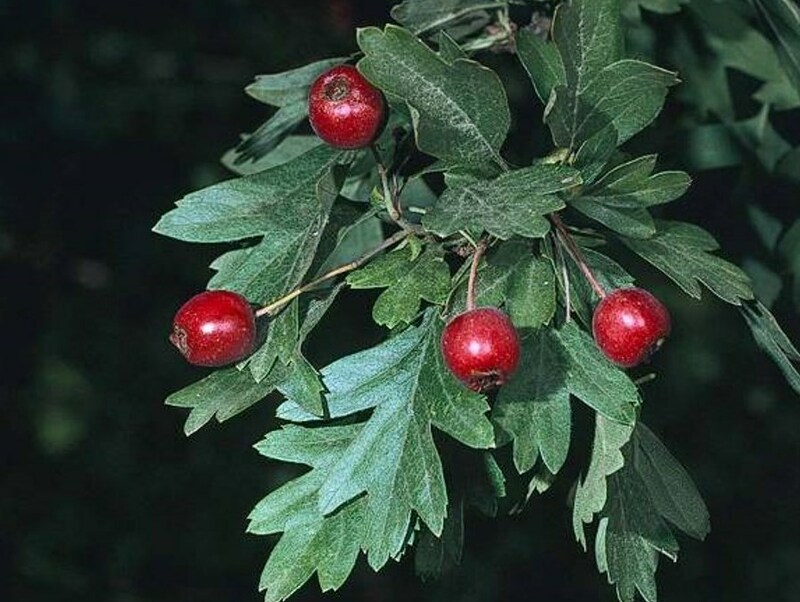 Crataegus monogyna (English hawthorn) is a deciduous shrub or small tree (family Rosaceae) found in California along the north and central coast and in the North Coast Ranges. English hawthorn was introduced to California as a landscape ornamental. It has escaped cultivation, growing in moist soil in riparian areas, woodlands and grasslands. At about 10 years of age, the trees begin to produce bright red fruits that are consumed by birds and other animals, who distribute its seeds. The seeds may also be dispersed by human activity or soil and water movement. Effective control may be achieved by manually removing seedlings, cutting down the trees and either removing their roots or painting the trunk with herbicide.